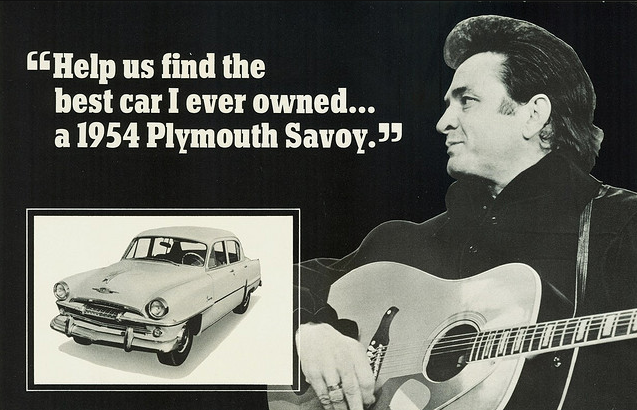 In 1972 Johnny Cash was hired to do a series of radio commercials for Plymouth. During a break he he got to talking about the best car he ever owned and declared it was a 1954 Plymouth Savoy. Johnny was at the beginning of his career when he owned the Savoy and the memories of driving from gig to gig with his brother probably made the Plymouth as special as the Cadillacs and Rolls Royces he would drive when he became an established star. A savvy ad man at the recording session had Johnny say it again and “The best car I ever owned” was recorded and another successful radio commercial was in the can. Taking it a step further a Chrysler-Plymouth sales manager named F.G. Hazelroth thought it would be a great marketing idea to reunite Johnny with the car he loved so much and a contest was announced to find the nicest ’54 Savoy in the country. In exchange for the old Plymouth, the winner would be given a brand new Plymouth Fury Gran Coupe and be sent all expenses paid to the Indiana State Fair to present his or her car to the Country legend. Entry forms were available at local Chrysler-Plymouth dealers and entrants were required to send interior and exterior photographs along with a detailed description of the vehicle. In all 319 entries were received and from that a final field of 6 was chosen. 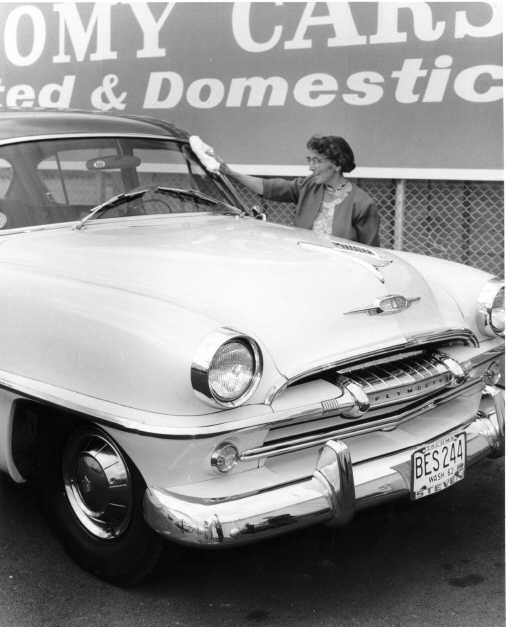 The final 6 cars were personally inspected by James Bradley who was the Director of the Automotive History Department of the Detroit Public Library. Choosing the winner proved to be easy as Mrs. Edith Hild, a 77 year old retired school teacher from Tacoma, Washington had a pristine example with just 14,226 miles on the odometer. 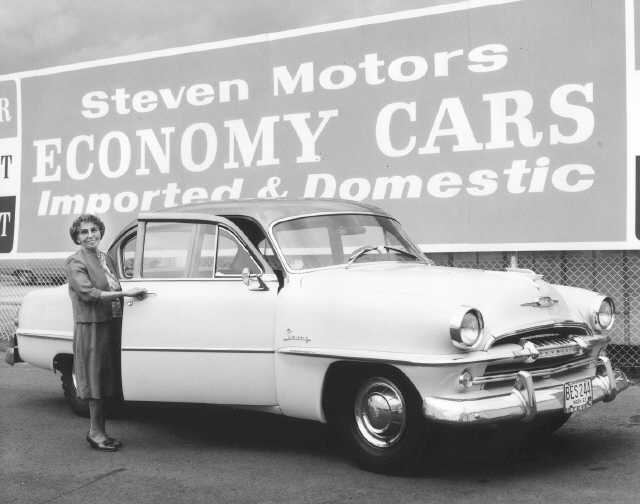 Despite just driving the car a few miles every week, she would faithfully bring the car into Stevens Motors every Fall for a complete service and waxing. On August 28th, 1972 Edith was at the Indiana State Fair where she presented Johnny her 1954 Plymouth in return for a brand new 1973 Plymouth Fury. Plymouths for sale on Collector Car Ads.